Ginette came to see me on recommendation. I am always a little wary when I see young patients requesting a facelift as it is unusual to need a facelift before the mid 40’s. 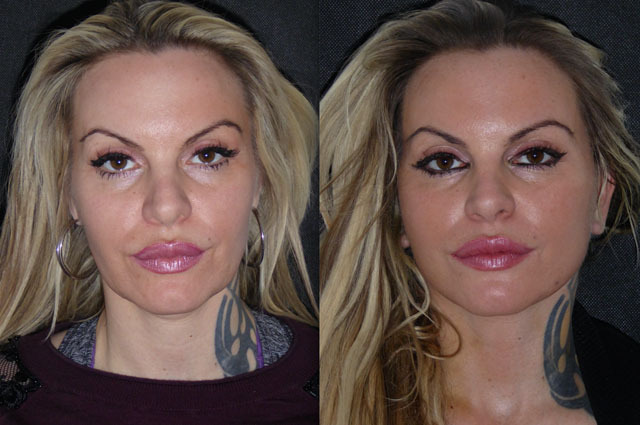 Conventionally this demographic are treated with filler volumisation or energy based treatments, but as was the case in Ginette, filler would have just made her face too full for a naturally slim beautiful woman. 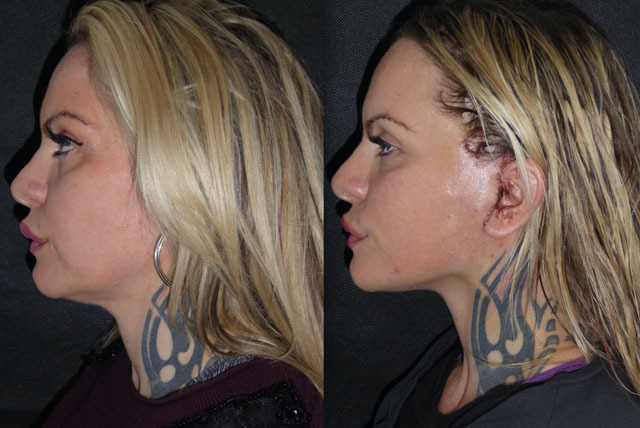 Ginette didn’t ‘need’ a facelift and our pre op consultation focussed on her drivers for considering this. She is a girl who knows what she wants, is aesthetically astute and had really reasonable expectations and acceptance of the risks. 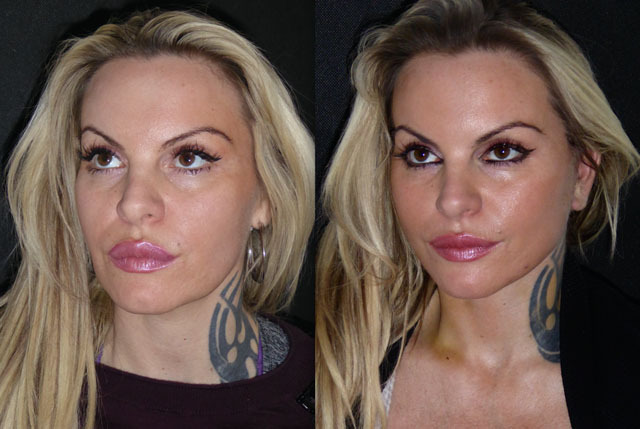 We undertook a face and neck lift under local anaesthetic. Ginette’s surgery was a breeze. 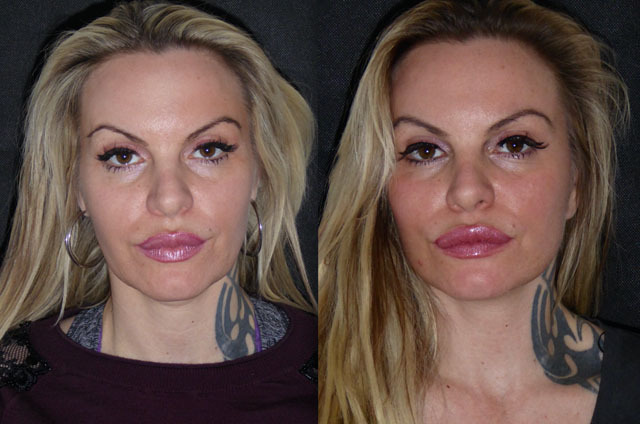 These photos were taken the morning after a 2.5 hour face and neck lift. 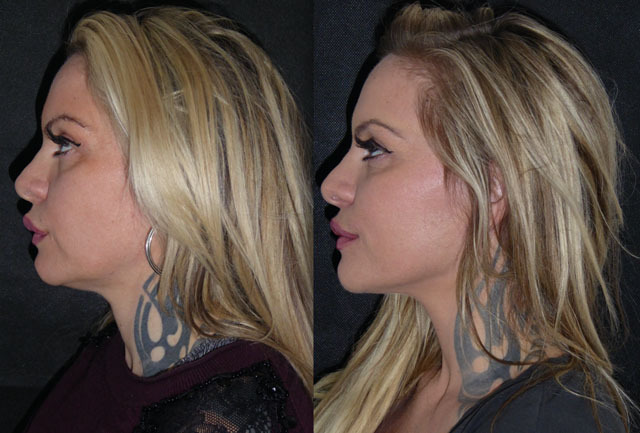 Despite her young age Ginette certainly had prematurely aged facial soft tissue and there was quite a lot of elevation achieved as can be seen by the position of her neck tattoo on profile view. 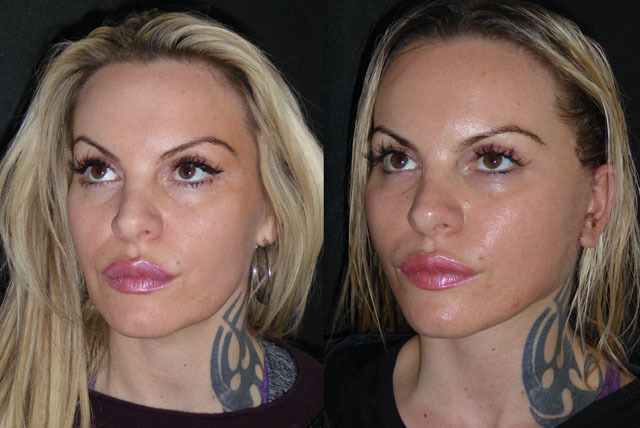 Her naturally pretty jawline is restored and her mid face and lower eyelids have been volumised without the use of filler or fat transfer. She is going to have a fantastic result. At 7 days Ginette is back for removal of her stitches. All that remains is a little yellow bruising deep in the neck and a perfectly balanced rejuvenated face. The lower eyelid hollowing and lower facial third soft tissue fullness have been reversed by sympathetic elevation of the soft tissue back to its original position. 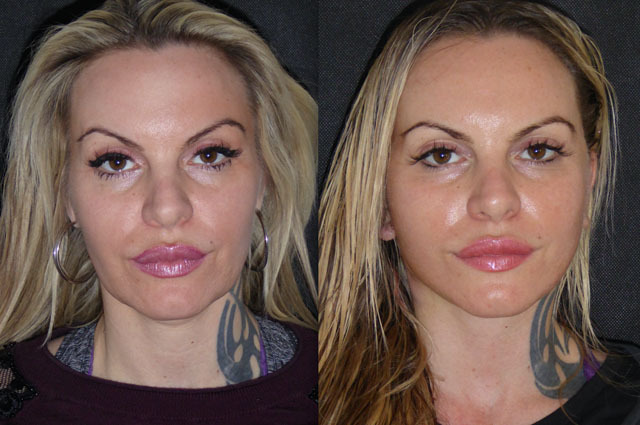 Proof that facial plastic surgery, should be guided by the face and not the date of birth. Ginette has teenage children and can now pass for not much older than them! Ginette is back to see me after a few weeks recovery in Ibiza. She is doing great at 4 weeks. 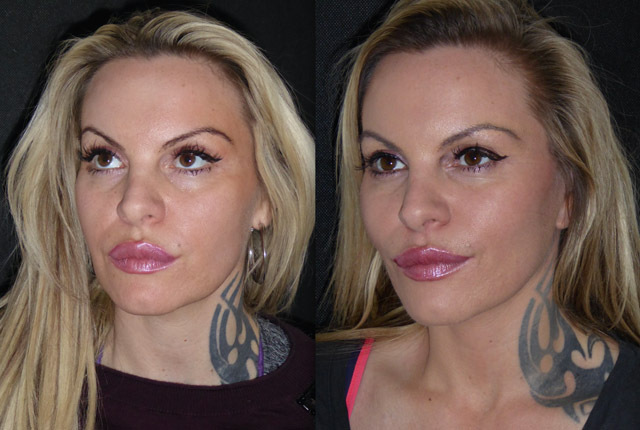 Incisions healing really nicely, jawline restored and a pleasing youthful fullness to her mid face makes her look fresher and rejuvenated.